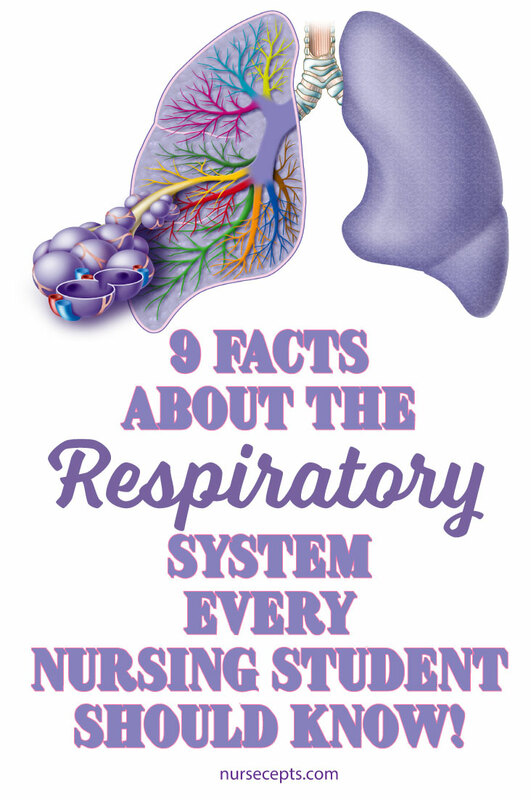 9 Facts About The Respiratory System Nursing Students Should Know. 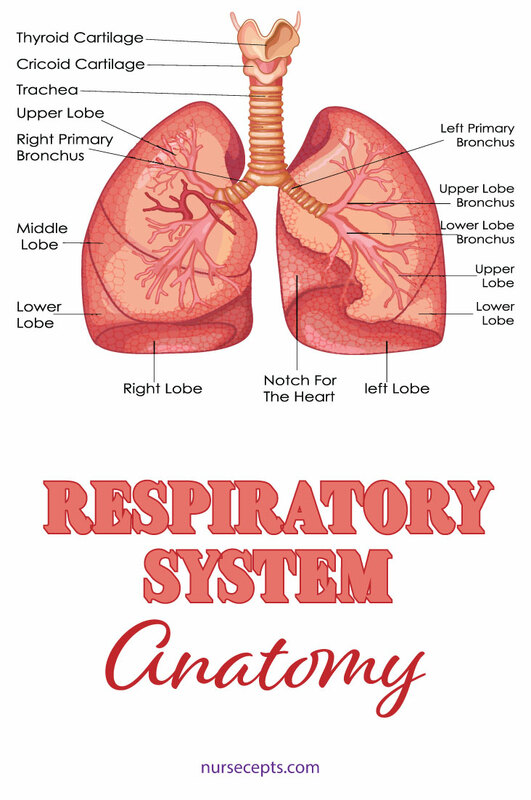 The respiratory system brings air from the atmosphere into the lungs. The bloodstream carries air from the lung to the body’s tissue. The cells of the body use oxygen and produce a waste byproduct called carbon dioxide. Carbon dioxide is toxic and can cause problems if allowed to remain in the body. The bloodstream removes this waste product and sends it back to the lungs. The respiratory system also helps maintain acid-base balance and is responsible for the creation of speech. The exchange of oxygen and carbon dioxide is important for maintaining the processes of the body. 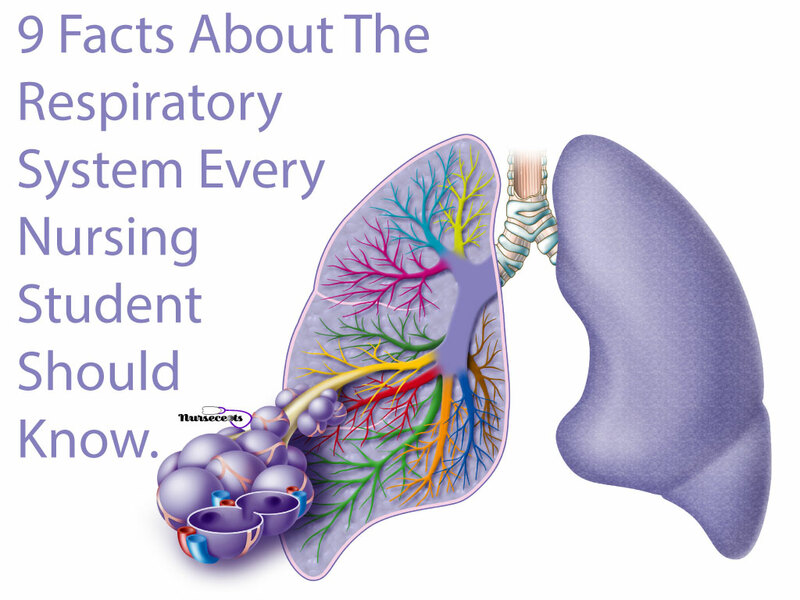 There are a few things about the respiratory system that a nursing student should understand. 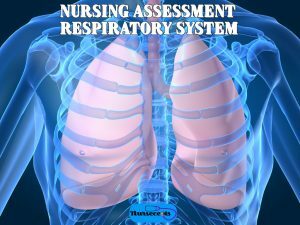 The first thing a nursing student should understand about the respiratory system is the anatomy. A quick review of the anatomy is always a good first step in order to become familiar with the system you are studying. 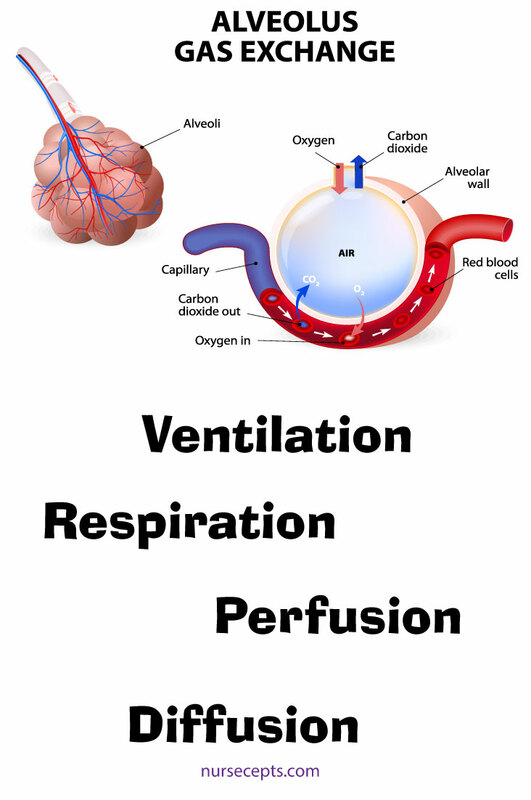 Second, an understanding of ventilation, diffusion, and perfusion will help your comprehension of what happens when a patient has a respiratory problem. 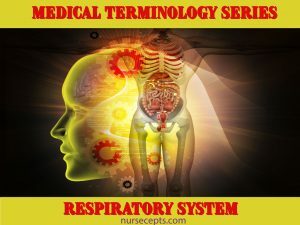 A review of respiratory anatomy and the concepts of ventilation, diffusion, and perfusion are covered in this article that contains 9 Facts About the Respiratory System Every Nursing Student Should Know. 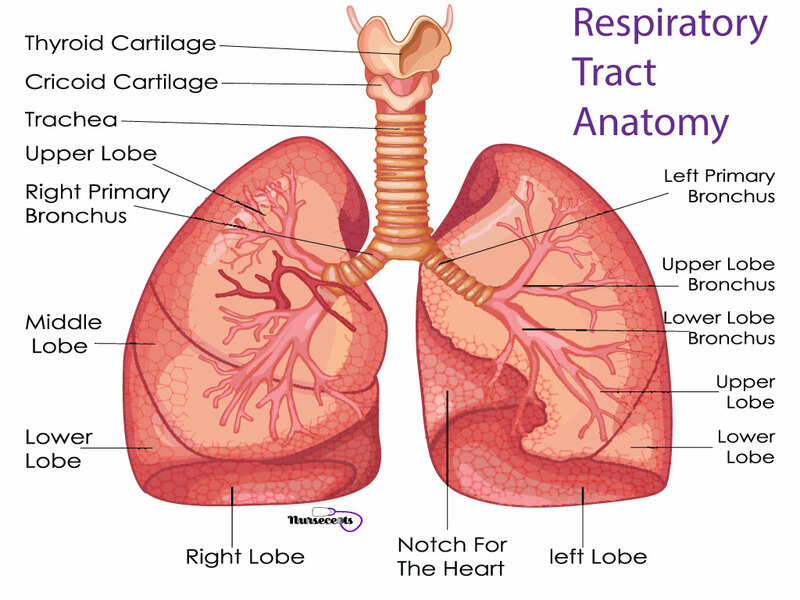 Fact #1 – The Respiratory Tract Consists of the Upper and Lower Respiratory Tract. The upper respiratory tract begins at the nose and ends at the larynx. This is important to remember when you study the disease processes of the upper respiratory tract. The upper respiratory tract consists of the nose and nasal cavities, pharynx, adenoids, tonsils, epiglottis, and larynx. Under normal circumstances, we breathe through our noses. Due to medical conditions and habits, a lot of people breathe through their mouth. The space behind the nose is the nasal cavities. Mucous membranes line the nasal cavities. The nasal cavity warms, filters and humidifies the air we breathe in. The nasal cavity also produces mucus which traps particles and pathogens. The cilia (hair-like projections) move the trapped substances for expulsion or to be swallowed. The respiratory and the digestive system share the pharynx. The mouth can also be a part of the respiratory system or digestive system. The pharynx is located behind the nasal cavities. It extends down to the larynx. The pharynx has three portions; the nasopharynx, oropharynx, and laryngopharynx. The nasopharynx is located above the soft palate. The oropharynx is located behind the tongue. The laryngopharynx is located at the base of the tongue to the larynx. The pharynx is very important because it is the only passage from the mouth and the nasal cavities to the lung. So, if there is an obstruction in the pharynx, no air will get to the lungs. The adenoids and tonsils are masses of lymphatic tissue which are located along the respiratory tract. The epiglottis is a thin piece of elastic cartilage that covers the larynx. This is the point in which the pharynx divides into the larynx and esophagus. The epiglottis covers the larynx when a person swallows. This keeps food and fluid from entering the lungs. However, when disease or other conditions cause the epiglottis to function improperly a person can aspirate. Therefore, the epiglottis is a line of defenses for the lungs. The larynx connects the trachea and the pharynx. The voice box is another name for the larynx. The larynx contains mucous membranes known as the vocal cords. Hence, the larynx creates speech. The larynx has nine rings of cartilage. The largest of the cartilage rings is the thyroid cartilage. The Adam’s apple is another name for the thyroid cartilage. Another one of the cartilage rings is the cricoid cartilage. In emergency situations, the cricoid cartilage is an emergency access to the airway. The lower respiratory tract begins at the trachea and ends in the lungs. The lower respiratory tract consists of the trachea, bronchi, bronchioles, alveolar ducts, alveoli, and the lungs. The trachea extends from the cricoid cartilages to about midway of the chest around the 5th or 6th thoracic vertebrae. The windpipe is another name for the trachea. The structure of the trachea contains c-shaped or horseshoe-shaped cartilage that protects the trachea. These c-shaped rings or cartilage open to the back where the esophagus lies. This opening allows for large food boluses to pass down the esophagus. The trachea branches or divides into two bronchi. One of these branches is the right mainstem which goes to the right lung. The other branch is the left mainstem which goes to the left lung. The carina is the point in which the bronchus divides. Each bronchus divides into segmental bronchi. The bronchi further divide into submental bronchi. The smallest branch of this tracheobronchial tree is the bronchioles and terminal bronchioles. The bronchioles are about 1-5 mm and have no cartilage rings. Consequently, there is no gas exchange to this point. The bronchioles terminate into the alveoli. The alveoli resemble clusters of grapes. The alveoli are the functional unit of the lungs. The thin walls of the alveoli contain an extensive network of capillaries. This network of capillaries is the alveoli-capillary membrane. This is where the gas exchange takes place. Oxygen in the alveoli diffuses across the alveoli-capillary membrane into the blood and carbon dioxide in the blood diffuses back into the alveoli. The lungs are a cone-shaped organ. They are located inside the chest cavity. The right lung has three lobes. The left lung has two lobes. The mediastinum is the area between the lungs. The top of each lung is the apex and the bottom of each lung is the base. The base of the lungs rests on the diaphragm. The lungs are elastic and capable of stretching in all directions and recoiling back to their normal sizes. First, we must define ventilation and respiration. The mechanism of breathing is ventilation. Ventilation is the movement of the air to and from the atmosphere and the alveoli. Ventilation is the act of breathing in and breathing out. The main muscle for breathing is the diaphragm. Respiration is the delivery of oxygen to the body and the elimination of carbon dioxide from the body. The respiratory center in the medulla oblongata controls respiration. When the lungs are at rest the air in the trachea and alveoli are equal to the atmospheric pressure or the pressure in the environment. Breathing begins by creating a negative pressure within the chest. Upon inspiration, the diaphragm receives a signal from the phrenic nerve. The diaphragm contracts and flattens downward increasing the space and decreasing the pressure in the thoracic cavity. The chest expands. The pressure in the alveoli becomes less than the atmospheric pressure and air flows into the lungs. Expiration is more passive than inspiration. The elasticity of the lungs aids in expiration. During expiration, the diaphragm relaxes and raises decreasing the space in the lungs and increasing the pressure in the thoracic cavity. The pressure in the alveoli becomes greater than the atmospheric pressure and air flows out of the lungs. Fact #3 – The Movement of the Chest Cavity is Due to the Respiratory Muscles. The respiratory muscles cause the movement of the ribcage. Those muscles are the intercostal muscles. The intercostal muscles fill the eleven (11) intercostal spaces. When the intercostal muscles contract the ribcage expands sideways, forward and backward. First, the lower ribs move up and out to the side. Second, the upper ribs rise. Third, the bottom of the sternum moves forward causing it to tilt. This movement increases the expanse of the ribcage. The volume of the ribcage increases. Therefore, this increase allows for the lungs underneath to draw in air. The term for this process is called inspiration. Upon expiration, the intercostal muscles relax the ribcage falls due to gravity. The act of breathing uses other muscles in the thoracic area. This especially happens when a person has a respiratory complication or respiratory disease. In these instances, the patient must work harder to draw in air. Those additional muscles include the sternocleidomastoid muscle, the scalene muscles, pectoralis major muscle, pectoralis minor muscle, and the rectus adominis muscle. The muscle used to turn the head is the sternocleidomastoid muscle. The sternocleidomastoid muscle helps a person take a really deep breath. The scalene muscles help lift the ribcage. The pectoralis major also helps lift the rib cage up and the pectoralis minor lift the ribcage up and out. The rectus adominis muscle helps a person cough or have a really forceful expiration. Lung compliance is the ease at which the lungs can inflate. The elasticity of the lungs allows for them to expand and recoil. If the lungs are less compliant they are harder to inflate. If you think of the lungs as a balloon, it would take more effort to blow up a small balloon to the same size it would take to blow up a large balloon. The alveoli are like balloons. Each has its own filling capacity. As with any balloon when it has reached its capacity or is close to its capacity it becomes less compliant – or harder to blow up. Compliance is very sensitive to any adverse condition of the lungs that may affect the tissue. A decrease in surfactant will cause a decreased in compliance. The surfactant is a protein secreted within the cells of the alveoli. The surfactant keeps the alveoli from collapsing and decreases the surface tension within the alveoli. The term “stiff lung” is used when a lung has decreased compliance. Decreased compliance means that it takes more work to increase the volume of the lungs. Lungs have increased compliance when there is a loss of the elasticity of the tissue. Fact #5 – The Pleura Helps Keep the Lungs Stay Expanded. The pleura are moist, slick membranes. The lungs maintain an expanded state because of the attraction between the visceral pleura and parietal pleura. The visceral pleura adhere to the lung parenchyma. The parietal pleura adhere to the wall of the thoracic cavity, the diaphragm, and the mediastinum. The pleural liquid is a slippery liquid between the pleural layers. The pleural liquids reduce the friction between the pleural layers when a person breaths. The parietal and visceral layers are able to slide across each other due to this liquid. However, when the two pleural layers are together they adhere and make the two moist layers very difficult to pull apart. That is why the lungs increase and decrease in volume as the thoracic cavity increases and decreases in size. Fact #6 – Diffusion is Another Component of the Respiratory Process. As previously mentioned, respiration is the delivery of oxygen to the body and the elimination of carbon dioxide from the body. Diffusion is the movement from an area of higher pressure to an area of lower pressure. Equally important, respiration uses diffusion as a mechanism for the exchange of oxygen and carbon dioxide. Diffusion as part of the respiratory process is the movement of gases back and forth across the alveolar-capillary membrane. The movement is from an area of higher pressure to an area of lower pressure. The pressure gradient is the area from the higher pressure to the lower pressure. When we talk about the air we breathed in or the air in the atmosphere, we are not talking about 100% oxygen. More than one gas makes up the air we breathe. Below are the components of atmospheric air. 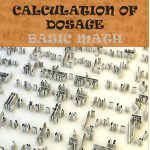 There are some additional trace components that are not necessary to mention in this article. https://www.space.com/17683-earth-atmosphere.html. Remember, the numbers above are for the atmospheric air or the air we breath in. The air entering the lungs and alveoli has a higher pressure of oxygen than the oxygen in the blood of the pulmonary capillaries. The blood in the pulmonary capillaries is deoxygenated blood from the right side of the heart. (Click here to brush up on blood flow through the heart) So, these oxygen molecules move from an area of higher pressure in the alveoli to an area of lower pressure in the pulmonary capillaries. The blood of these pulmonary capillaries has a higher concentration of carbon dioxide. The pressure of carbon dioxide molecules is higher in this deoxygenated blood than in the alveoli. So, carbon dioxide moves from the pulmonary capillaries into the alveoli. This is the process of diffusion. As mentioned earlier, diffusion is the process of moving from an area of higher pressure to an area of lower pressure across a pressure gradient. Oxygen and carbon dioxide exert a certain amount of pressure in the air. This pressure is the partial pressure. The partial pressure of oxygen and carbon dioxide affects diffusion. The abbreviation for the partial pressure of oxygen is P02. The partial pressure of oxygen is also measured in the alveoli, arterial blood, and venous blood. arterial blood is abbreviated Pa02. venous blood is abbreviated Pv02. The abbreviation of the partial pressure of carbon dioxide is PC02. Also, the partial pressure of carbon dioxide is measured in the alveoli, arterial blood, and venous blood. arterial blood is abbreviated PaC02. venous blood is abbreviated PvC02. This pressure in the alveoli and the pulmonary capillary help decide which direction the gases will go. This direction is based on the principle of diffusion. Remember, diffusion is the movement from higher pressure to lower pressure. Therefore, in order for diffusion to take place the partial pressures in the alveoli, pulmonary capillaries, arterial capillary, venous capillary, and tissues are all different. The difference in these pressures is the pressure gradient. Gases move via pressure gradient because they are always trying to equalize. Also, the higher the pressure difference, the faster the gases will flow. Remember that diffusion is the movement from a higher pressure to a lower pressure in order to equalize. 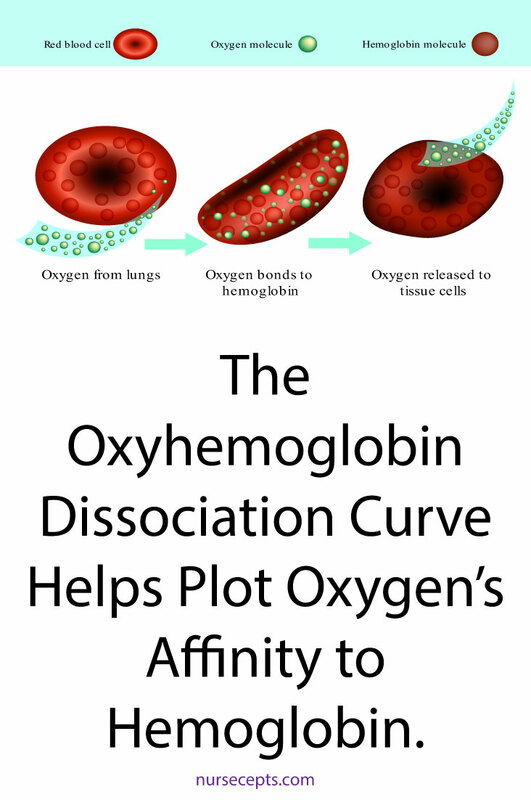 Fact #8 – Oxyhemoglobin Dissociation Curve Helps Plot Oxygen’s Affinity to Hemoglobin. Hemoglobin is the component in the blood which carries oxygen. Hemoglobin has an affinity to oxygen. This means there is an attraction between hemoglobin and oxygen. When the hemoglobin picks up the oxygen from the alveoli capillaries, the oxygen loosely binds to hemoglobin so it can be released to the tissues. A percentage represents the amount of hemoglobin that is attached or saturated with oxygen. The Sa02 represents the amount of hemoglobin saturation. Remember, the Pa02 is the partial pressure of oxygen. So, the oxyhemoglobin dissociation curve is the relationship between the Sa02 and the Pa02. The oxyhemoglobin dissociation curve plots the relationship between the available oxygen in the blood and how well the hemoglobin picks up and releases the oxygen to the tissue. Or in other words, it plots hemoglobin’s affinity to oxygen. There are many factors that can affect hemoglobin’s affinity to oxygen. 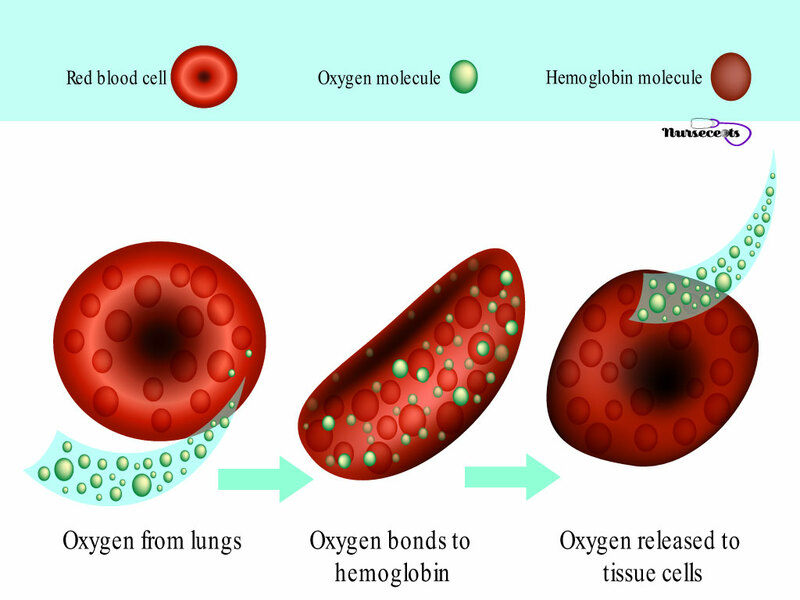 Different conditions and disease processes can affect hemoglobin’s affinity to oxygen. When there are problems the oxyhemoglobin dissociation curve shifts to the left or the right. Sometimes, in the lungs, oxygen is easily pick up but not easily delivered to the tissue. On the oxyhemoglobin dissociation curve, this is called a shift to the left. Other times in the lung, oxygen is not easily picked up but more readily offloaded in the tissue. This is called a shift to the right on the oxyhemoglobin dissociation curve. The body can adapt to small shifts, but large shifts can be life-threatening. A shift to the left means oxygen is easily picked up in the lungs but is not easily delivered to the tissue. A shift to the right means oxygen is not easily picked up in the lungs but is more readily offloaded to the tissues. Fact #9 – Ventilation and Perfusion Must Have a Good Relationship. Ventilation of the alveoli is the movement of gases into the alveoli. Perfusion of the pulmonary capillaries is the movement of blood through the pulmonary capillaries. 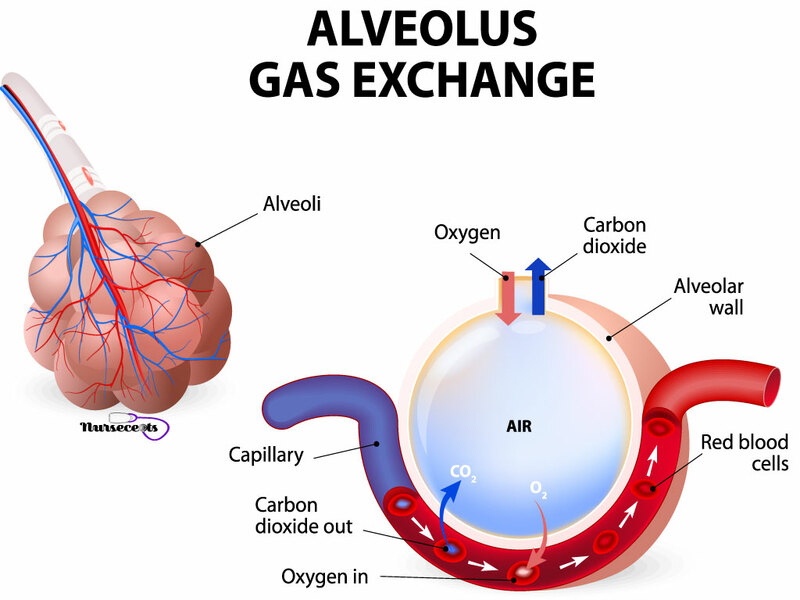 Therefore, the exchange of gases across the alveoli-capillary membrane depends on the ventilation of the alveoli and the perfusion of the pulmonary capillaries. Ventilation of the alveoli is represented by (V). Perfusion of the capillaries is represented by (Q). Ventilation and perfusion are normally expressed as a ratio – V/Q ratio. When the alveoli are well ventilated and the capillaries are well perfused the ratio is 1:1. The movement of oxygen and carbon dioxide in and out of the alveoli is dependent upon adequate ventilation and perfusion. Therefore, there must be adequate diffusion of oxygen and carbon dioxide across the alveolar-capillary membrane. The Pa02 (partial pressure of oxygen in arterial blood) and PaC02 (partial pressures of carbon dioxide in the arterial blood) levels measure diffusion across the alveolar capillaries. There are situations that happen when ventilation is good but perfusion is poor. When ventilation is good, that means there is sufficient oxygen in the alveoli. When perfusion is poor, that means there is not enough blood (or hemoglobin) to pick up the oxygen. Therefore, the amount of oxygen carried to the body and tissues is inadequate. Meanwhile, there is still the production of carbon dioxide. However, there is not enough blood to bring the carbon dioxide back to the alveoli. Then, there are situations when ventilation is poor and perfusion is good. When ventilation is poor, that means there is insufficient oxygen in the alveoli. When perfusion is adequate, that means there is sufficient blood circulating to the alveoli. However, even though there is sufficient blood flow there is not enough oxygen to attach to the hemoglobin. Therefore, a certain percentage of blood will return from the lungs to the left side of the heart deoxygenated. The term for this is pulmonary shunting. This blood travels from the heart to the body but has a lower percentage of oxygen distribution. In conclusion, this is a list of 9 facts about the respiratory system that gives a little more understanding of the respiratory processes. This article attempted to simplify some facts that will help as you cover respiratory disease processes. Having a firm grasp on ventilation, diffusion and perfusion will assist you in caring for patients with respiratory conditions.